A pen for your thoughts ? 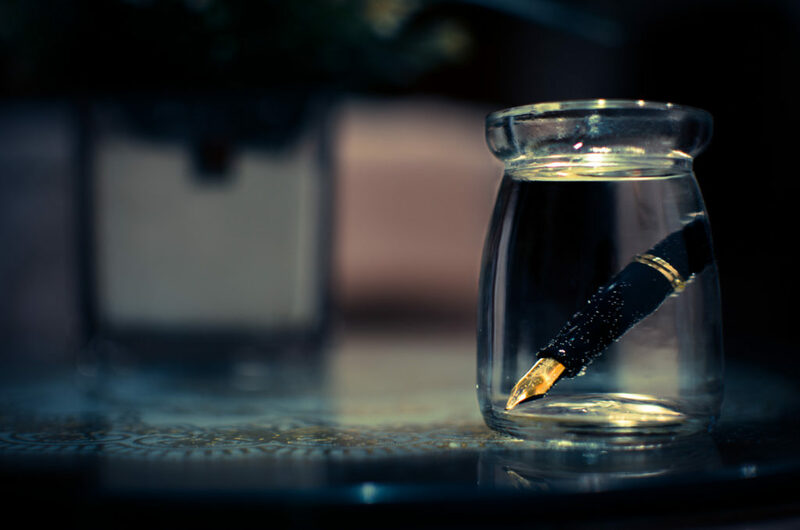 Although most of my writing these days is done with the help of a keyboard, as you can notice by my articles, I still am and will always appreciate the greatness and permanance of a good fountain pen. Although most of the people that I know today write with a pen or pencil, or mechanical pencil to be more exact, I still prefer the old fashioned fountain pen. There is a classic feel and wonder that comes with writing using a fountain pen that I can not just give up. So with this in mind I have a few gorgeous fountain pens today to share with you. I have chosen these just by the criteria that I like very much how they look and I think that they would feel great to hold. I consider each of these to be unique in its own way and simply gorgeous. Some of them may be a little pricey, but I swear that when I have the money I will add them to my fountain pen collection. 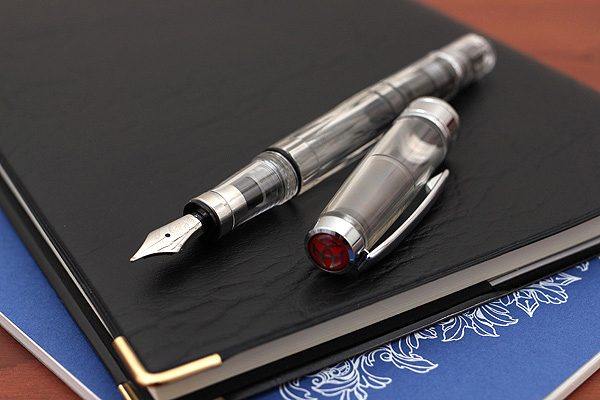 The first fountain pen comes today from the Nakaya online website. The website has an entire collection of gorgeous pens and I recommend you visit them to see all the wonderful products they have. But out of all of them, I have selected a pen that is the perfect example of simplicity. Just as the name of the collection that it represents, this pen is cigar shaped, black colored and made out of a mat material that will look great on any desk and along any notebook. Another unique selection of fountain pens is this version that comes from a firm that I have had plenty of contact with and for which I can confirm the high quality and durability of its products, Lamy. Right from their website, I have found a pen that not only looks great but it also presents itself well and would be a perfect choice for anyone, male or female and for any occasion, professional or just for everyday use. This next pen is going to be an actual unique product, due to the fact that it is very rarely seen these days and you almost can’t get a hold of it. Being part of a gorgeous collection of Pilot fountain pens, all of which came out around 30 or 40 years ago, this collection is as beautiful as it was unique and as it is precious today. You will notice that the entire design of this pen is something precious to the eye and I, for one, have never encountered it at any other firm. But, boy, would I like to get my hands on any one of these. Coming in as transparent as they can be, the next fountain pen is a wonderful to get a real insight into the makings, design and works of a fountain pen. When it comes to the tip of a fountain pen, I enjoy mine really thin or a certain amount of thick, but not very. I know, some may call me crazy but I am really pretentious when it comes to how my fountain pens write and feel on the paper. But this model, that comes with an extra fine nib, I think would just do the trick. Next up is nothing more or less than a real work of art. This limited edition fountain pen from Caran d’Ache and its name properly translates to “write in the sky”. This pen is designed to show you the 51 constellations and 353 stars visible from the northern hemisphere. Yes, in just such a small surface area. With an intricate conception tale behind it and an amazing process from its concept and to the day that it hit the market, this pen is so much more than a simple writing instrument. It tells a story of possibility and engineering that should be heard by anyone interested in these gorgeous writing machines. I really encourage you to visit the owner’s website and find out the amazing story of this pen and the amazing stories that it can tell. Another gorgeous piece from the Romain Jerome collection of writing instruments comes the well named Moon Fighter. Yes, it is a writing instrument that resembles a real space ship and it it simply gorgeous! (yes, Star Wars fan here). I would simply adore to own this exquisite pen and still hope to do so one day even though there are only 888 pieces created and on the market. The last but not least fountain pain presented in my list is a dedication to, you guessed it, all Batman fans. Simple design and lines make this pen simple enough for you to love it and to make all its other details stand out. The batman inspired details can be so well observed that any fan surrounding the pen owner will instantly desire one. My dear readers, I hope my post has inspired you to go and write your own story. Using a fountain pen or not, everything we do is a form of writing and we just have to learn to tell it to others. See you in another post. Today’s featured image comes from Flickr.